Like most urbanites, I carry most of my gear in a backpack. I am privileged to live in a city where I am able to travel by foot and/or use the transit system. I usually pack all my sustenance needs for a day’s worth of urban exploration. This includes food, water, laptop, cell phone, a real notebook and pen, and various grooming items. To say the least, the most important item in my gear list is my trusty backpack, without which, well, I would not be able to independently go about my day. From time to time, I will carry a proper lady purse, mostly to make my mother happy and also to attempt to impress an aura of elegance on various dates and other love interests (I quickly get bored with this but this is a whole other subject and article). Because I have to meet vendors, clients and other business contacts, it is important for me to carry something that is elegant, sturdy and comfortable. I am guessing this is the case for a lot women out there. My bag can way anywhere from 5 to 7 kg, over the course of the day, this can get heavy. To avoid walking hutched over and of course, avoid unnecessary strain on my back, I like the backpack to fit snuggly across my back. Padding on shoulder straps and back ensures the weight is evenly distributed and comfortable to bear. Wide straps and ergonomic shape is also important. Finally, because I have a small frame, it is very important that the backpack has a compact design. 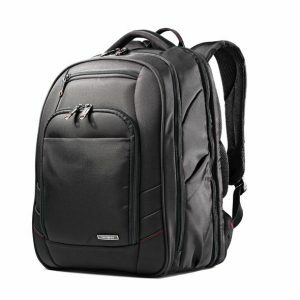 I look for a backpack that is adapted to my frame and body structure. 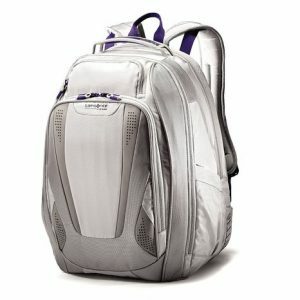 Backpack and laptop bags can vary in size. Targus makes large models adapted to a bigger body frame. Other companies such as Samsonite specialize in compact models. I have my favorites but when I consider a new model for purchase, I always pay attention to the ergonomic design component. I like my backpacks to be elegant. This means a color I can seamlessly pair with various outfits. I like a uniform shade with a splash of color (interior, zipper or other accents). For the overall shape, I am particularly attracted to modern and futuristic designs that are innovative and forward looking. I have two backpacks for work, and they are both black. 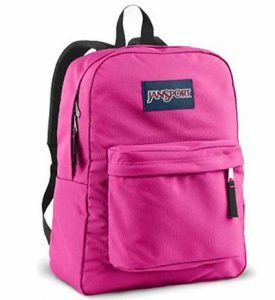 For lighter days and weekends, I carry one of two Jansport single compartment backpacks in neon pink and deep khaki color. Functionality is also very important, of course. I want all my gear to fit comfortably in separate custom designed compartment. I also like to know that it will be safe from damage so proper padding and proper fit is important. I am sold on extra pockets and compartments. 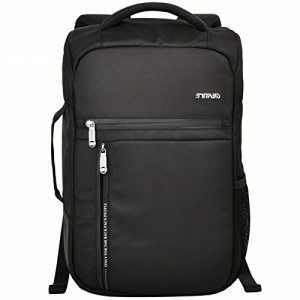 This highly reviewed backpack and laptop bag offers high functionality, ergonomic design and elegance. At $49.99 it tops our list of favorites. Smart Sleeve – Feature allows case to slide over the Upright handle tube for easy transport. This futuristic backpack and laptop bag offers seamsless design and functionality. 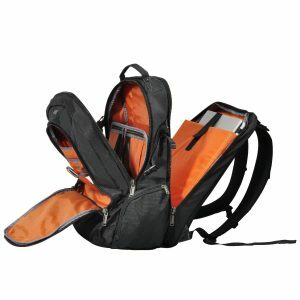 The design is followed through with a sturdy and heavy duty capacity to carry most of your gear effectively. This Everki Titan backpack and laptop bag is designed for easy travel and versitality. Though it offers as advertized fast checkpoint clearance it is also a well designed, heavy duty, highly functional bag. The orange color is definately a design plus. Dedicated compartments for laptop, tablet device, gaming accessories, magazines, USB or flash drives and more. 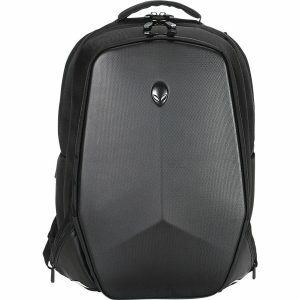 If you want to look super cool while getting a lot done, consider this “alien” backpack from Dell. 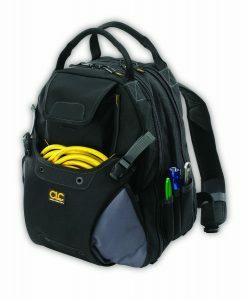 Yes, it is a backpack designed to carry tools, but it this can easily function as backpack and laptop bag for those of use who have to carry extra gear (think Photo equipment, various craft tools). This is a very compact, elegant and functional backpack. You will like the seamless minimalistic design. For light days when you carry a minimum of gear. 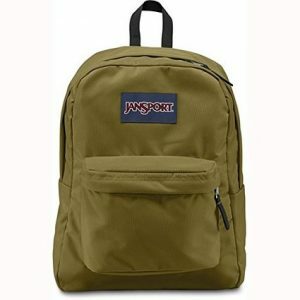 These are just but a few of the choices available for backpacks and laptop bags. 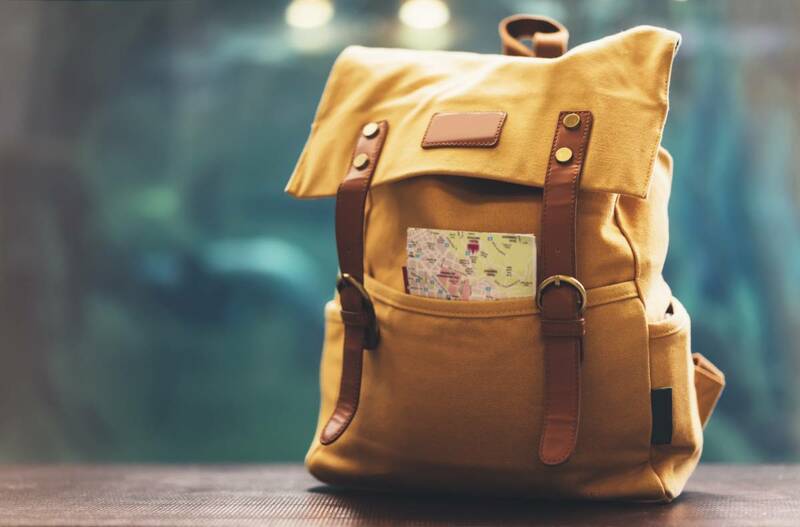 Always make sure your backpack is adapted to your frame and sits comfortably on your bag. Look for padded shoulder straps and back. Last but not least, consider design and style.